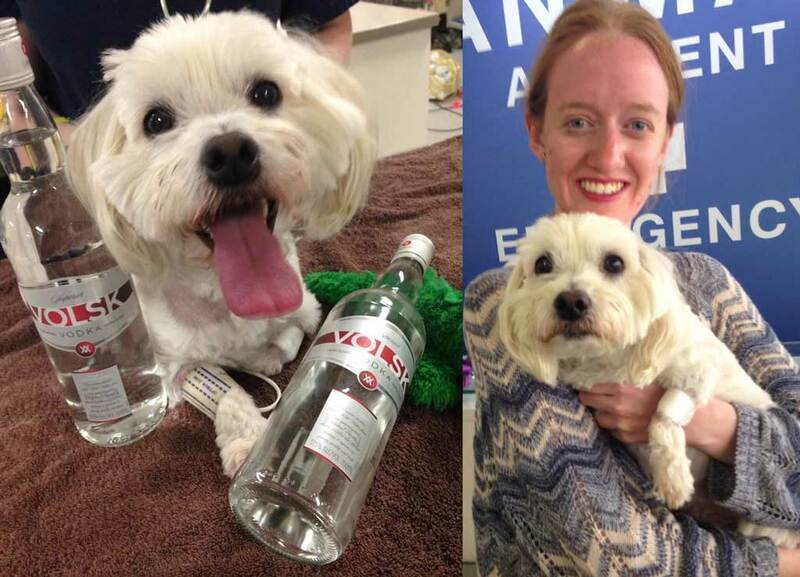 When Charlie the Maltese terrier was just hours away from death last weekend, vets saved his life with a bottle of vodka. The curious canine was rushed to the Animal Accident & Emergency hospital, having licked some coolant in his owner Jacinta Rosewarne’s garage at Melton, west of Melbourne, Australia. Vets realised Charlie had ethylene glycol poisoning, which can cause kidney failure within hours and, left untreated, leads to death. So they grabbed a bottle of vodka and started feeding it to Charlie through a tube down his nose and then intravenously. “He was definitely drunk,” Ms Rosewarne said. “He was stumbling around, I’d go to pat him and he’d push me away like a normal drunk person, he was vomiting a little, whining like a drunk. I thought it was hilarious ... 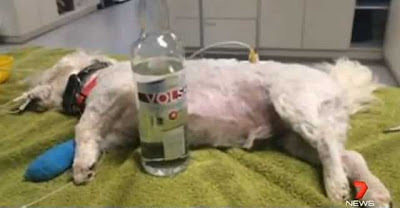 It was distressing but funny at the same time.” Charlie had 700ml of vodka in two days, a miracle treatment which saved his life but left him with an almighty hangover. They do something similar for humans who've drunk meths. The enzyme (alcohol dehydrogenase) which breaks down alcohol in your bloodstream will break meths down into formaldehyde which is even worse for you than the meths. So instead, they feed you full of ethanol, the enzyme preferentially breaks that down and the meths passes out in your urine, hopefully unchanged. 70cl of vodka for that bodyweight, how much is used for say a healthy male at 70kg? They've been doing this for decades. The vet clinic I worked at 20 years ago always kept 4 bottles of Golden Grain with IV feeds which fitted the GG bottles. We put the bottle in a special sling (made for GG bottles), spiked it, and inserted into pooch vein.